Bodawen was purchased by Cariad Care Homes Ltd in 2004 and is registered to provide round the clock nursing care by a highly qualified and experienced team of nurses and care practitioners. We provide Nursing, residential, Residential dementia and respite services for adults mostly over the age of 65. For older people in search of quality care, an active social programme, comfortable accommodation and delicious home cooked meals in a warm, welcoming environment; Bodawen Nursing Home is the perfect choice. Bodawen has a dedicated activities co-ordinator who provides a full programme that’s developed to meet each individual’s interests and capabilities. With a constant emphasis on maintaining our residents’ dignity and independence, these activities and social events play an important role in achieving this. Our cooks provide a wide range of delicious home cooked meals and cakes and cater to service users individual requirements. We are also known for our themed lunches and restaurant nights which have become a huge success allowing service users and their families some quality social time together. All our bedrooms are en suite and have been designed to the highest possible standards. All rooms have profiling beds and specialist equipment required to ensure our residents comfort and safety, every room also has a LCD television. There are three lounges, 2 dining rooms, and a large conservatory and patio area. 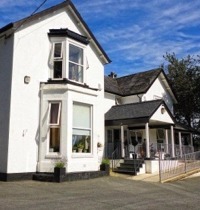 The nursing home stands in seven acres of delightful gardens overlooking fields and the beautiful Snowdonia Mountains. We have our own flock of chickens that our service users can assist with and Marley the dog who visits our residents on most days.